40+ workshops with 25+ international teachers. Åsa Kalyani is a curious dancer, yogi and meditation teacher with a passion for exploring our consciousness - the space of stillness and ease. She loves to see people following their hearts and connecting with themselves both on and off the yoga mat. She teaches a creative hatha flow yoga where she wants to guide into an organic, more and more subtle and internal experience. 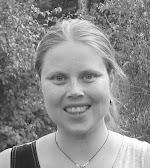 Åsa is inspired by meetings with life, challenges, the peace in the present moment, many teachers and styles of yoga, biomechanics, bioenergetics, dance and her own way of finding connections in her body. Coming from a yoga background with more than ten years of practising and six years of teaching in Germany, Sri Lanka and Indonesia. The last few years have been more and more dedicated to AcroYoga and Thai Massage. Currently teaching regular AcroYoga classes in Hamburg. Boris is a certified Yoga and AcroYoga teacher. He believes that sense of humor is a tool for inner development. With background in Kung Fu, Circus, Gymnastics and Dance his classes are entertaining and with a fresh feeling. All what we perceive as challenges turns into games when we feel protected in a safe environment. Transformation happens in each moment and he honors that process in each class giving the right amount of challenge balanced with playfulness. Everyone is welcome to join the journey. He lives in Malmö with his soulmate Nina. Together they run the project AcroBhakti. They give classes, workshops, retreats, teacher trainings and arrange the Nordic AcroYoga Festival. Cat Duval brings a joyful celebration into her style of teaching alongside 11 years of yoga practice. Now into her sixth year of teaching Cat embraces a many styles of yoga and wellbeing teaching Unity Partner and Community Yoga, Sun Moon Acro-Partner Yoga, SUP Yoga, Hatha and Vinyasa Flow. She is a trained NLP Practitioner and uses positive visualisation meditation techniques to help people unlock goals and aspirations. She organises Acroyoga events, performances and jams in her role as a Jambassador for AY (and is applying for her teacher training this year). She draws on a passion for community, connection and creative events and set up Nine Lives Yoga inspired by the capacity of yoga to release and unravel perceived limitations and transform them into opportunities for growth and expansion. 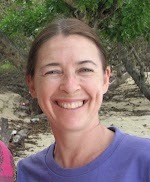 She is passionate about sharing tools to bond, trust and let go and be joyfully ourselves in every moment. Nine Lives Yoga…live every breath. 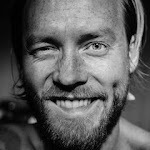 Swedish yoga and acroyoga teacher currently based in Hamburg. Have taught all over the world and loves spreading the acroyoga practise to as many people as possible. Everyone can fly! Bodywisdom School is one of the UK’s leading schools for northern-style Thai Massage. Co-director and tutor Fiona is also a registered, accredited advanced practitioner and teacher for The Sunshine Network and THAI (Thai Healing Alliance International). 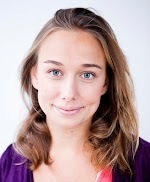 Fiona's been teaching since 2004 in the UK and Thailand and has recently moved to Copenhagen from the UK. 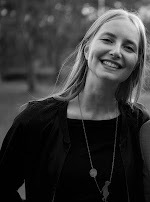 Fiona's influences include her Thai massage teachers Asokananda and Pichet Boonthume, Vipassana meditation, Yoga (especially the teachings of Angela Farmer and Victor Van Kooten) and 5R dance. She worked for many years as a Wellbeing Mentor for university students with mental health diagnoses and her biggest teacher is her 5 year old son! Gabriella is a certified AcroYoga- and Vinyasa Yoga teacher with many years of experience teaching in Sweden, USA, Europe and Asia. 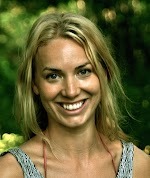 Gabriella is one of the AcroYoga pioneers in Stockholm and she has been teaching since 2009. Gabriella has studied circus acrobatics in the Swedish circus school and Thai Yoga Massage with the original teachers in Thailand. Gregory was initially overwhelmed by yoga back in 1998 in his homeland of Ireland, but stuck with it anyway. With his basic yoga teacher training in Ashtanga yoga he branched out and taught other forms of yoga, and he stopped searching for new forms of yoga when he found AcroYoga 5 years ago. 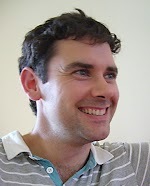 He has a caring and safe teaching approach, helping his students increase awareness of themselves and find new paths along their personal journeys, with his belief that the way you are is very fine indeed. 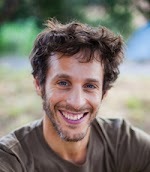 He became a certified AcroYoga teacher and has experienced many wonderful teachers along this path. 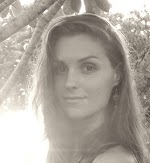 Ilze is a holistic therapist, yoga teacher, passionate acroyogi and social change facilitator. Over the past 10 years Ilze has been bringing healing arts to diversity of environments including hospitals, women prisons, youth camps and international organizations, empowering individuals and communities to strive to live up to their potential. 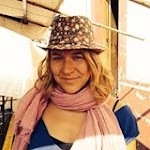 Apart from running bodywork related workshops Ilze leads training courses on leadership, sustainable development, social justice and community development for international and local non-profit organizations around the World. After years of working, traveling and studying with american and asian shamans, thai and table bodyworkers, diverse yoga teachers, she has moved back in her native Latvia. Her classes are based on giving and receiving empathy, practicing presence, engaging in compassionate partnership and joyous laughter. A pastor, preacher, pirate, poet and a public speaker. With formal training in theology, counselling and body work. 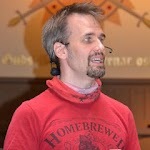 Patrik teaches with inspirational enthusiasm, presence and passion. Patrik is a truth seeker, rebel and pirate who teaches with deep insight and I will challenge the audience with a fearless, shameless questioning of authority, dogma and societal norm. Aside from working as a Christian minister, Enneagram practitioner, life coach. 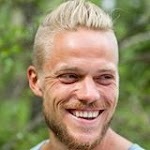 Patrik is also a Bhakti Yogi and Daka with formal training in Yoni Mapping and tantric body work. Kasper has had his love affair with Acroyoga for two years now and yoga has been in his life for the last 10 years blended with lots of dance and climbing. His focus is presence in movement and experimenting with this in togetherness. Katarina enjoys how the practise of acroyoga entails potential for connection beyond age, gender and the everyday labels we so easily put on ourselves and others. She likes to bring playfulness and accessibility as guiding principles when teaching, to find the spot where acroyoga is to be shared with everyone. 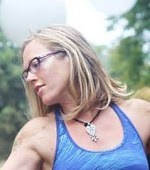 I am a certified yoga and acroyoga teacher and thai-yoga massage therapist. My exploration of body and mind has brought me down many paths, from Native American sweat lodges and kitesurfing, to a bachelor in psychology. I believe that diversity of movement and experience is the key to a balanced life. For the last four years I have put most of my energy into building the acroyoga community in Copenhagen, where I live. I am a frequent traveller, open to get inspiration from all parts of the world, ranging from beaches in Mexico and ashrams in India, to old forests in Finland. Wherever I go I find that what brings people together is moving together and I am very happy to be able to share the training and healing practices that has touched me the deepest. 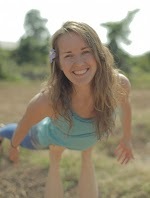 Mie started her asana practise in the age of 24 at a fitness center in 2008. Today yoga is a big part of every words, thought and actions in her daily life. She travels around the world to attend workshops, retreats and immersions to get inspiration for her practise and teaching. In 2014 she completed a 200 hr Yoga Alliance approved Vinyasa Yoga Teacher Training with David Lurey and Mirjam Wagner in Brazil and the AYFit Training Camp in Germany with Jason Nemer. She lives in Malmö with her soulmate Boris. Together they run the project AcroBhakti. 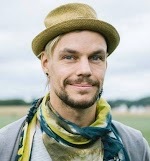 They give classes, workshops, retreats, teacher trainings and arrange the Nordic AcroYoga Festival. Silver and Ester (SilvEster) are certified Montreal style teachers from Estonia. In their classes they often use creative process to encourage students to explore and discover their own moves. Big part of their acro-journey has been (street) performing and improvisation. Sofie who is young at heart and dedicated to play. Comes from a background of dancing & yoga. 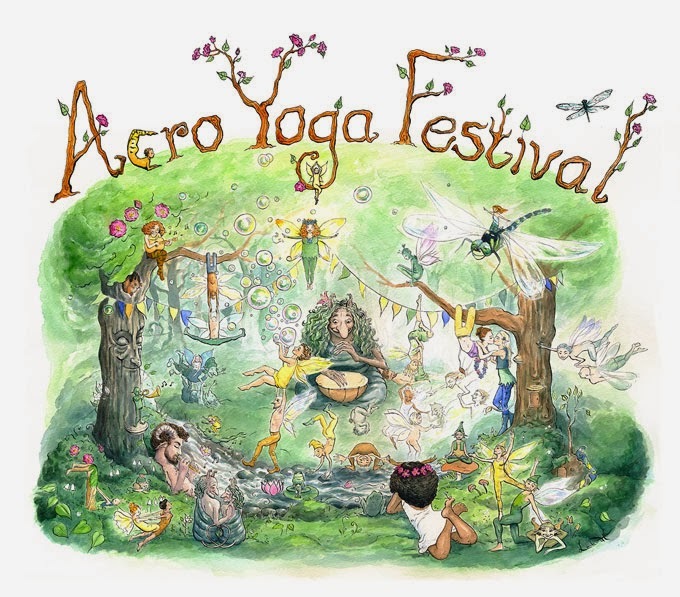 Believes that acro yoga has the ability to heal the world and create world peace. She loves to watch people upside down and how fast trust can be built by support. Stina is a Vinyasa yoga teacher, a martial- and healing art enthusiast and one curious soul who really dig the acroyoga practice. Its been evolving ever since the first time she saw the beauty of balance that is created between the lunar and solar practice. Stina flourish the most when exploring different forests, the constant movements within and the infinite consciousness around. Let us create a space of playfulness, trust, allowance, creativity and awesomeness together. Since my early childhood I was excited to explore body movements. Due to that - and thanks to my “awaken” and generous parents – already at the age of 6 I have joined the Russian folk dance school. This was the beginning of my career as a movement artist and teacher. Through the years of classical folk dance a solid foundation for the artistic as well as athletic and acrobatic body training have been laid. Since then a variety of dance styles (choreography, folk dance, jazz-modern, hip hop, street dance, break dance, lindy hop, etc.) has been important part of my life. Already during my early years in the folk dance school I have started my teacher mission. Between 1998 and 2000 I taught Funk and Hip Hop in at that time the only Jazz and Modern Dance School in St. Petersburg. Later Swing and Lindy Hop added an important part into my excitement in the partner work. Which in early 2012 led me finally to AcroYoga. The connection of Yoga, Acrobatics and Thai-Massage, three origins of the human knowledge about body and movement, through an inspiring, joyful and as well therapeutically healing partner work is a wondrous and infinitely enriching combination. I thank to my teachers for being able to give all that what has made me a better, more useful and loving person and I'm happy to be able to share the joy of life with all those openhearted! “Say Yes! Fly high” is a life motto for Yael. When Yael began her Yoga and AcroYoga journeys she had many “reasons" why she couldn't do it. Yoga philosophy however offers us the invitation to explore the game of life. “What’s next?” is Siva’s question. Yael’s teaching style draws from a lineage that includes Anusara and AcroYoga. 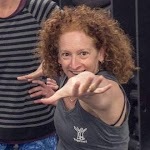 She loves to weave in Yoga mythology stories, with rapt attention to students’ details of alignment, anatomy, and therapeutics, and exploring partner yoga through a dialogue of touch. AcroYoga began for Yael on Mother's Day several years ago, with a dive right into an Elemental Immersion. She realized immediately that softening and staying in communication were among AcroYoga’s greatest contributions to her practice, both in her life as a yoga teacher and as a mother. 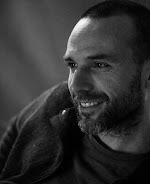 Yohann Guichard is certified Thai Massage & AcroYoga Level 2 teacher, and a member of the YogaSlackers. He is a dedicated seeker for balance, alignment and healing in motion. 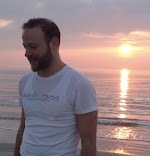 Yohann has been leading massage trainings for over 14 years. Students enjoy his precision, humour and creative mind. Based in Paris, he teaches in Europe, Asia and USA. + 450 SEK / € 55 - space in 4-bed room with private shower and toilet FULL! + 600 SEK / € 70 - space in double room with shared shower and toilet FULL! + 1050 SEK / € 120 - space in double room with private shower and toilet FULL! + 1500 SEK / € 170 - single room with private shower and toilet FULL! Participants who cancel up to one month before the festival starts regain the full amount subtracting an administration fee of 250 SEK (€25). From four to two weeks before start participants regain 50%. Later than two weeks before starting there is no refund. Cancellation must be done writing to festival@acrobhakti.com. *** For the moment we have enough volunteers. *** You can still apply for a volunteer spot but is very unlikely that you will get one. The work for volunteers is helping around with cleaning, dishes and similar things. The amount of work is about 10 hours during the festival, which is around 2½ hours a day. In exchange we offer a reduced price: 1900 SEK / € 205 (regular price 3400 SEK / € 390). This price includes the organic food and camping space. The amount of volunteers is limited, and it depends on the amount of participants. More signups, then more volunteers needed. The signups for volunteers will be collected in a list sorted by chronological order. We will prioritise that order and the previous experience as volunteer. ➽ I am quite busy.. can i come for the weekend only ? YES. We adjust the price depending on the time you can join. Write those details in the "comment box" when you sign up. ➽ My question is not answered by this FAQs... what can I do ? Okey, don't panic... write to us and we will help you ASAP: festival@acrobhakti.com.